Need some advice, not sure what Stockli is right for you?- give Rick a call- anytime! 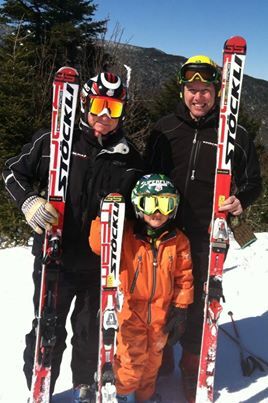 Since its inception in 1988, Ski Sharp's reputation as one of the most technically specialized ski shops in the East remains unchallenged. Owned and solely operated by Rick McAllister, Ski Sharp has earned a well-deserved reputation for its hand tuned skis and undeniable expertise. Powder Magazine "We hand-file every pair of skis, People can always count on getting the same tune every time because the same guy who tunes the skis owns the shop." 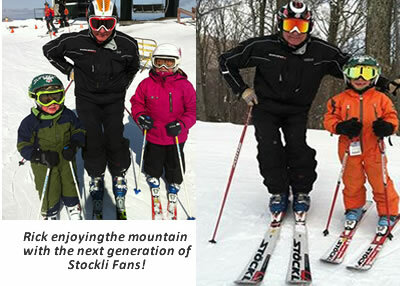 Rick's Stockli Laser GS Jr come out on top in Ski Magazine's Ski Test "Like a Lion Chasing its Prey"